For the second year running a film made under the Metro Screen Breaks Program has been selected for the Dendy Awards for Australian Short Films. In 2013 Samuel Leighton-Dore completed his debut short film Showboy funded by the Metro Screen and Screen Australia Raw Nerve Program, under the Breaks funding umbrella. After the unexpected death of his mother, a young football player finds himself struggling to support his depressed father - while fighting to keep safe the secret he once shared with his mother. Showboy was written and directed by Samuel Leighton Dore, produced by Diana Burnett and stars Lucas Pittaway and will screen at the Sydney Film Festival Sat 14 June and Sun 15 June. Book Tickets. Following the screening on Sunday meet all the Dendy Awards finalists at a Panel discussion upstairs at The Hub, hosted by Metro Screen, and grill them on what it took to bring their acclaimed short film from idea to red-carpet premiere. Watch filmmaker Samuel Leighton-Dore talk about making his 2013 Breaks film Showboy. If you are filming you need insurance to cover third parties in the event of an incident arising out of your filmmaking. Metro Screen has entered into an agreement with Mooneys Insurance Brokers to provide low cost Public and Products Liability Insurance cover for small budget filmmaking activity. It was a full house at the screening of the completed Central West on Screen projects at the Old Fire Station in Dubbo last week. Family and friends of the filmmakers joined the Dubbo cultural community, ABC Open and Metro Screen to applaud the films made by the burgeoning documentary makers after an intensive 2 week workshop funded by Screen NSW. The full list of films, talks and events has been released and from Opening Night (20,000 Days on Earth, a film about the cultural icon that is Nick Cave) to Closing Night (Jemaine Clement, Taika Waititi’s What We Do in the Shadows) it’s looking like 2014 will be a cracker of a festival. Sydney Film Festival runs 4-16 June, so get your tickets quick. Metro Screen Breaks script development mentor, Lachlan Philpott is heading to the US to develop a new play with the American Conservatory Theatre, after winning the inaugural Fulbright Professional Playwriting Scholarship. Lachlan was featured in the Sydney Morning Herald this week discussing the scholarship and his new work at STC, MRock. Find out all there is to know about working with children in screen productions. This info session hosted by Kathy Gray, from the Office of the Children’s Guardian, will provide all you need for working with children in screen productions and creating child safe work places. 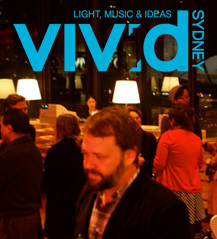 Premiere Screening, Panel Discussion & Networking Opportunity at The Lounge at Vivid Ideas Exchange. Metro Screen looks ahead to the next 10-15 years and asks the big questions: What will the screen industry look like in 2030 and will a creative screen career pay the rent? DIPLOMA OF SCREEN AND MEDIA: MULTIPLATFORM PRODUCTION - NEW ENROLMENT DEADLINE FRIDAY 6 JUNE. Most creatives in the screen industry become Freelancers. Ensure your success as a freelancer by learning the basics of setting up and managing your own freelance business and gain an insight into how to build your own industry networks, create a really great CV and/or showreel and how to keep abreast of trends and developments in your area of specialisation. Course runs from Tues 27 May, enrolments close 22 May. This course is aimed at early-career screen practitioners, or those in a different production area who have an interest in location sound recording. 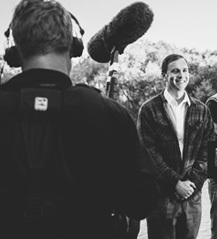 The course provides participants with a thorough overview of the role of the Sound Recordist and provides practical tips on capturing the best sound possible for your screen story. Course runs from Sat 7 June, enrolments close 2 June, early bird discount until 19 May! We have just received 2 new shiny Sony NEX-FS700 and Cineroid EVF4RVW with Retina Display. This is a 4K NXCAM digital cinematography camcorder with a newly designed Super35mm CMOS sensor, super slow motion capability (up to 800 fps in 50i mode) and an interchangeable E-mount lens system, offering unrivalled flexibility and creative expression. 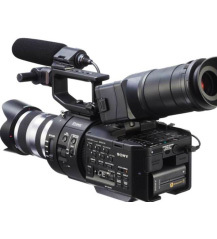 The FS700 comes with 2 x 32Gb SD cards, batteries, base plate and 9" rods. Upon booking of Canon EF or Sony PL lenses, we include a Metabones EF or MTF PL adapter. When Australia’s two largest media barons hand over power to their feckless sons, fortunes are risked, secrets exposed and lives ruined. Written by CJ Johnson, The Young Tycoons is a wickedly subversive comedy that takes a scathing and satirical look at the ruthless world of Australia’s empire builders. Presented by Darlinghurst Theatre Company, it plays at the Eternity Playhouse, 16 May to 15 June. For your chance to win one of two double passes to the preview on Sunday 18 May, email theatre@darlinghursttheatre.com with METROSCREEN in the subject.